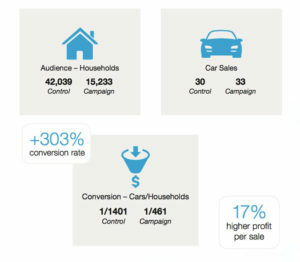 The automotive industry has long been a leader in terms of advertising spend. By one estimate, automotive advertisers spent more than $16 billion combined on advertising last year. First, car buyers have become a lot savvier, to the point where they no longer want to provide information. Simply put, consumers know that if they express even the slightest interest in buying a car, they’re going to get bombarded with calls and emails. As a result, the anonymous car-buying audience is growing rapidly. Second, the average dealership staff is there to make sales, not collect data. When potential customers arrive on the lot, they show up on guard, ready for what many see as an unpleasant experience. Consequently, dealerships struggle to collect valuable customer data, because the imperative is to close the deal before the lead walks away. In such an environment, local dealerships struggle to turns sales into a metric they can use to optimize advertising and fuel their lead-gen machine. With only a hazy picture of which leads convert, a typical dealership’s advertising spend becomes a local arms race, where the goal is to spend more than the dealership down the road. But keeping up with the Joneses isn’t a recipe for profitability. Instead, what’s needed is a focus on transactional ROI. The dealership needs to know that if it spends X dollars to speak to Y people, it will lead to Z sales that generate some amount of profit. By using the framework of transactional ROI, local dealerships are able to tie their advertising spend directly to sales—effectively extending the accountability of direct mail to other channels like television, radio, print, mobile, and digital. 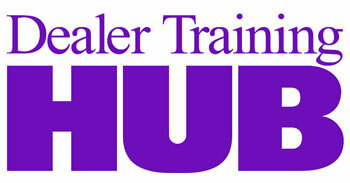 But although sales are an essential goal for any dealership, local dealerships ultimately need to drive profitability. Increasingly, the real profit center is in servicing the vehicle after the sale is made. 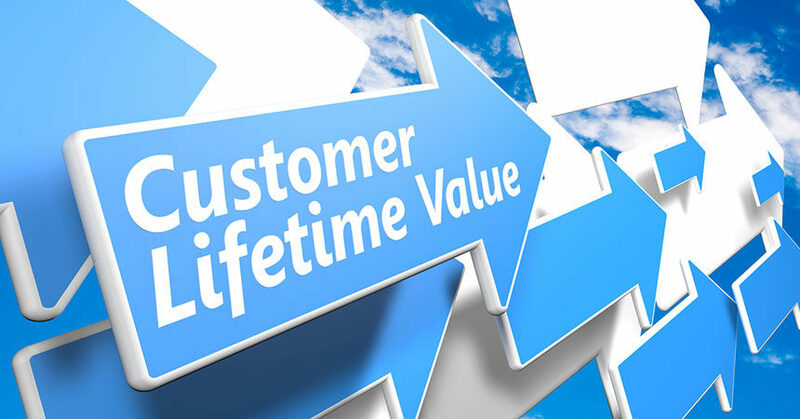 While the transactional ROI provides the framework for accountable advertising, dealerships need to take an additional step to identify and convert high-lifetime value (HLV) customers—those who service their vehicles three or more times with the dealer. So, how do you target an audience of prospective HLV customers? More importantly, how do you prove that you aren’t cannibalizing your existing audience? That was the challenge presented by the Minneapolis-area Luther Automotive Group, which asked for definitive proof of incremental results—in this case, that a campaign could increase the number of high-lifetime value customers, and therefore drive an increase in profits. The process began by onboarding the group’s DMS data. This allowed the identification and evaluation of the characteristics of Luther’s existing HLV customer base. From there, a unique model was developed that allowed Luther to identify 57,000 households in its trade area that matched the high-lifetime value criteria. Next, the fact that the campaign budget only allowed a reach of about 15,000 households out of the total 57,000 prospective HLVs in the trade area was considered. With the knowledge that all households in the area were exposed to Luther’s radio, TV, and outdoor ads, an experiment was conducted. About 42,000 households served as the control group, while the remaining 15,000 high-lifetime value households would be the test group. So how did the test group perform? See the results in the illustration at right. Obviously, these are sales results that any dealership would be happy to see. But remember, this is about proving that the campaign converts high lifetime value customers, not raw sales. For Luther Automotive, the ultimate proof point came six months later, when the model was validated. As it turned out, about half of the 33 buyers returned to the dealership for a service appointment within six months of purchase. That’s good for the dealership’s bottom line. But just as important, Luther Automotive now has a way to tie its advertising budget to its most desirable customers, making the dealership the driver of its own destiny. Mike Murphey’s 15+ years of diverse professional experience provides Semcasting and its partners with a unique perspective on how marketing solutions should be measured, evaluated, and improved. His experience includes working for some of the largest Fortune 500 companies to a start-up with five employees. Mike holds a bachelor’s degree from the University of Minnesota and an MBA from Hamline University. When away from work, Mike spends time with his wife Michelle raising their three sons, Sullivan, Hayes, and Myles.